If you’re an 80’s baby and grew up with Talkboys and Yak Baks, you know what a fun toy a recorder can be. Introduced today, Olympus’ new LS-12 and LS-14 PCM Recorders are slightly more advanced than the aforementioned devices, but no less fun to play with. The new recorders are follow-ups to the LS-7 and LS-10 models, and in our experience, Olympus makes these kinds of devices very well. Both models are capable of capturing sound up to 130 dB and both operate on two AA alkaline batteries or two AA Ni-MH rechargeable batteries. The LS-14 recorder provides up to 48 hours of continuous recording while the less expensive LS-12 edges out its companion by offering 50. No word yet on why this is the case. Musician-friendly indeed, the recorders feature a metronome, a chromatic tuner for instruments, and adjustable-speed playback ranging from a half speed at 50 percent, all the way up to chipmunk speed at 300. The folks over at Olympus are touting the product’s ease-of-use as well. They’ve gone retro with a mode-select dial, that they claim is easier than sifting through an on-screen menu and a remote control for easy starting and stopping of recording. For professional musicians, reporters, and for techies in-search of a new toy, Olympus’ new recorders are certainly worth a look. We’ve yet to get our hands on either model, but if the past is any indication, both will deliver on their marketing promises. 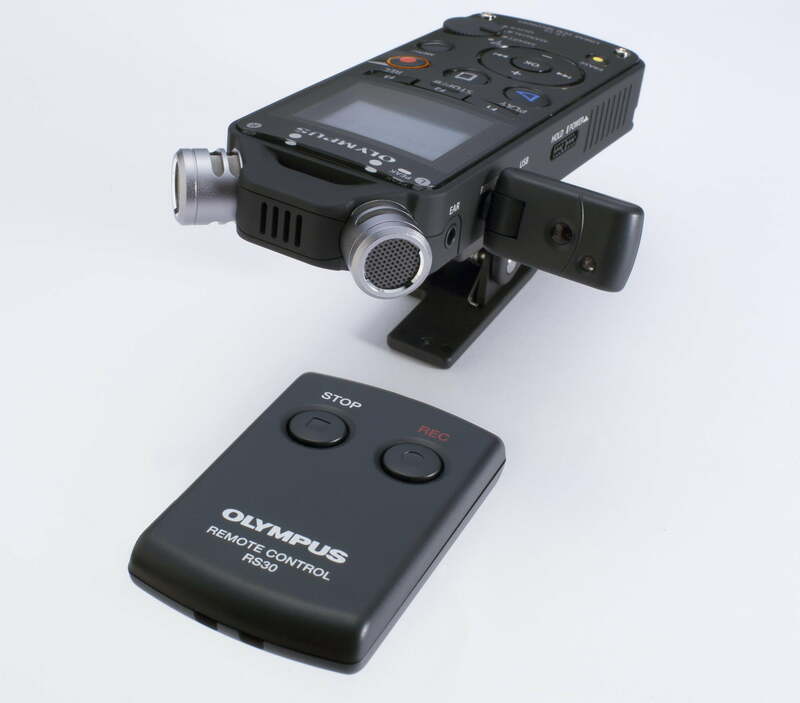 The Olympus LS-12 and LS-14 PCM Recorders will be available in early November at $150 and $200 respectively.